Unfortunately, you can’t explain to your pets why it’s so important they take their medicine. All they know is that you’re trying to make them swallow something bad. 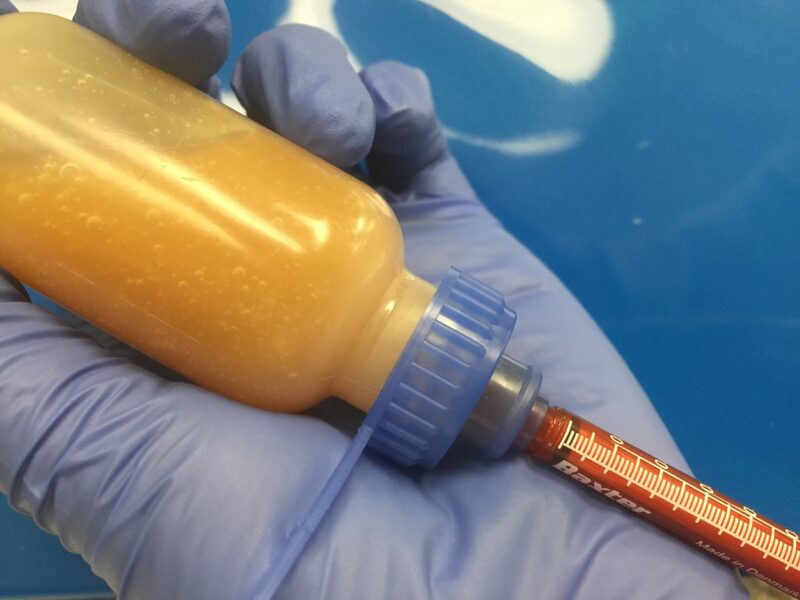 An added challenge is ensuring your animals receive the dosage they require. What works for a dachshund may not be suitable for a Great Dane, and commercially available human medications may not have the right dose for animals. At MacDonald’s Prescriptions, our compounding pharmacists are familiar with the particular tastes of animals, and can work with you and your vet to develop a medication that meets your pet’s specific physiological needs. Got a cat that loves liver? Or a dog that goes crazy for lamb? From beef to cheese to lettuce salad (for those veggy-loving critters) we offer custom flavours that will have your pets begging for more. We can also provide medicine in alternate forms – such as transdermal gels – and prepare medications that have been discontinued by the original manufacturer. So whether you have a sick llama or an ailing border collie, we can help ensure the medicine goes down – more quickly and easily than ever before. Liquid suspensions come in a variety of flavours including beef, chicken, liver and fish, as well as fruit flavours for herbivores. The bottle features a blue Adapta Cap that allows you to easily draw the dose into a syringe. 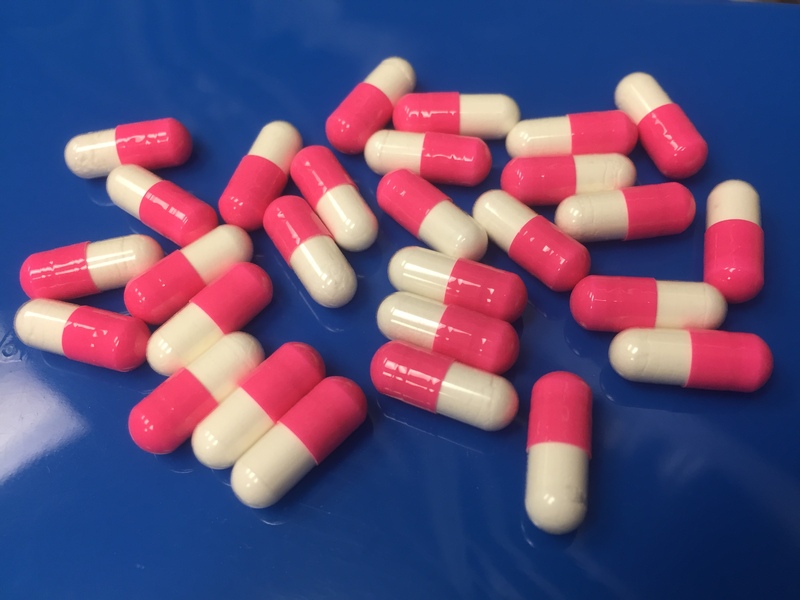 Capsules are great for compounding drugs or drug strengths that are not commercially available, and come in a variety of different colours and sizes. The capsules may be given directly, or may be opened up to sprinkle the contents onto your pet’s favourite food. With a diameter just below 5 millimetres (mm), our soft chews are small enough to be hidden in food or to be given on their own. 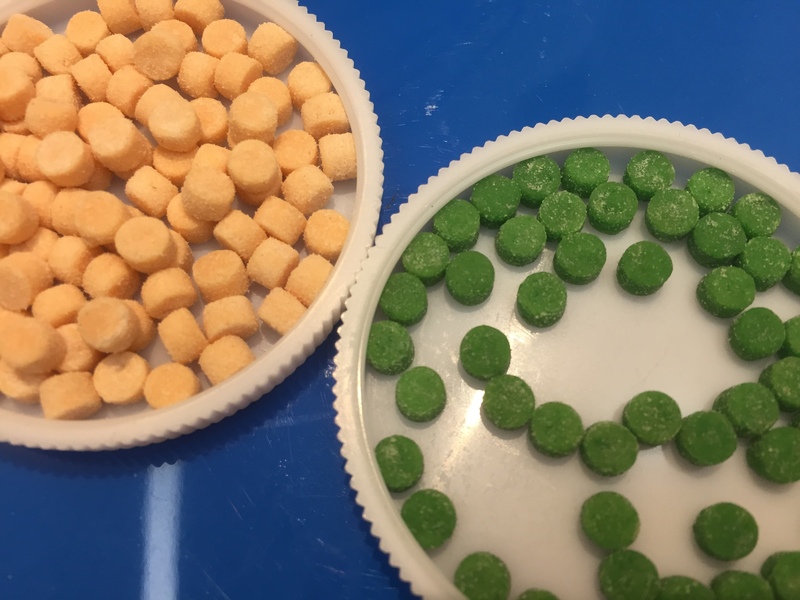 Larger chews (8 mm diameter, 18 mm length) can also be made for doses too large to fit into regular chews. Flavours available include chicken and liver. 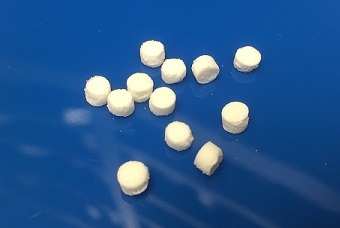 Tablet triturates (trits) have a diameter just below 5 millimetres (mm) and usually come unflavoured, but can also be made with a mild beef or fruit flavour upon request. Transdermal gels are applied topically and are formulated to allow the drug to be absorbed through the skin. 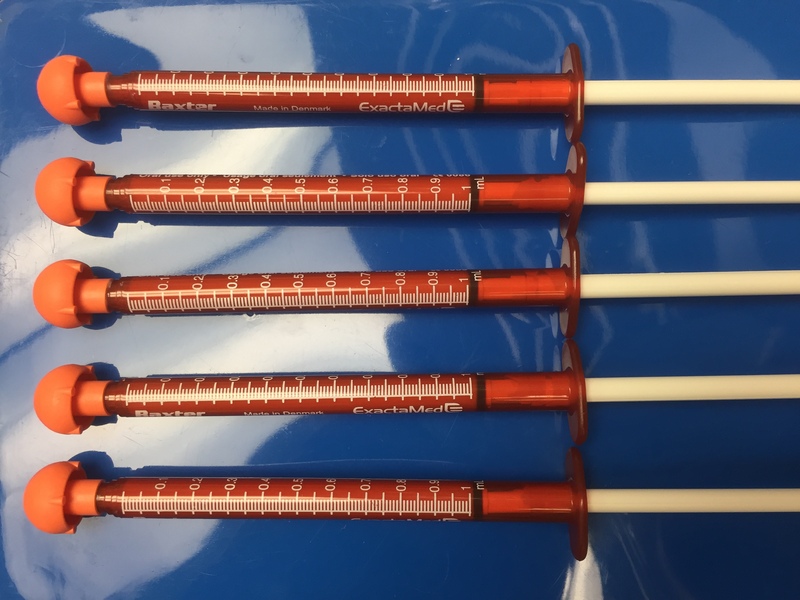 We package the medication in syringes for easy dosing.